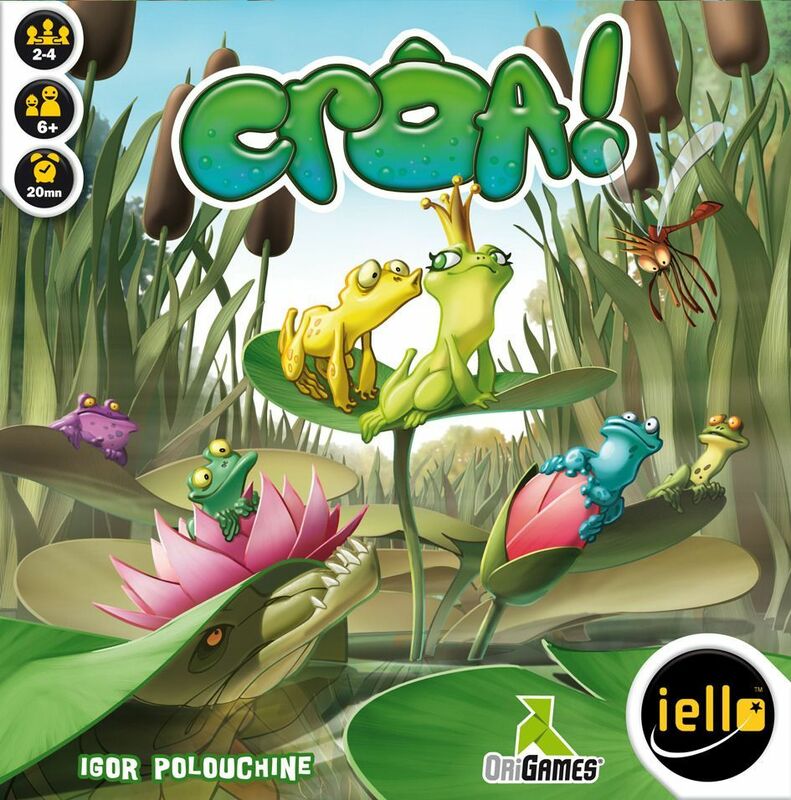 In Croak!, you have a queen frog and servant frogs, and while moving them around, and if you land on an opposing frog, you eat it, thereby removing it. If your queen is eaten, you are out of the game. As you move, the tiles you land on can add effects to your movement. Crôa! can be played as a 5-6 player game by combining it with Splotch!.